Between Vans and Independent, you’re looking at over 90 combined years of experience in skateboarding. 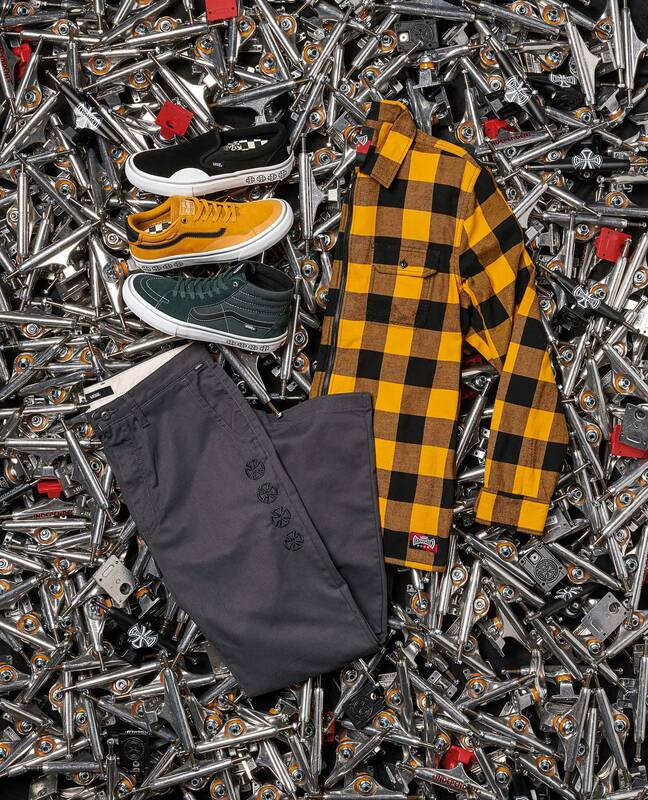 The two brands have done more to influence and spread the spirit of the culture than could possibly be imagined; you’re just as likely to see Vans and Indy gear out in the wild as you are seeing Abercrombie and Fitch or Gap duds. Separately, they’re respected leaders. But together, the brands literally ARE skateboarding. 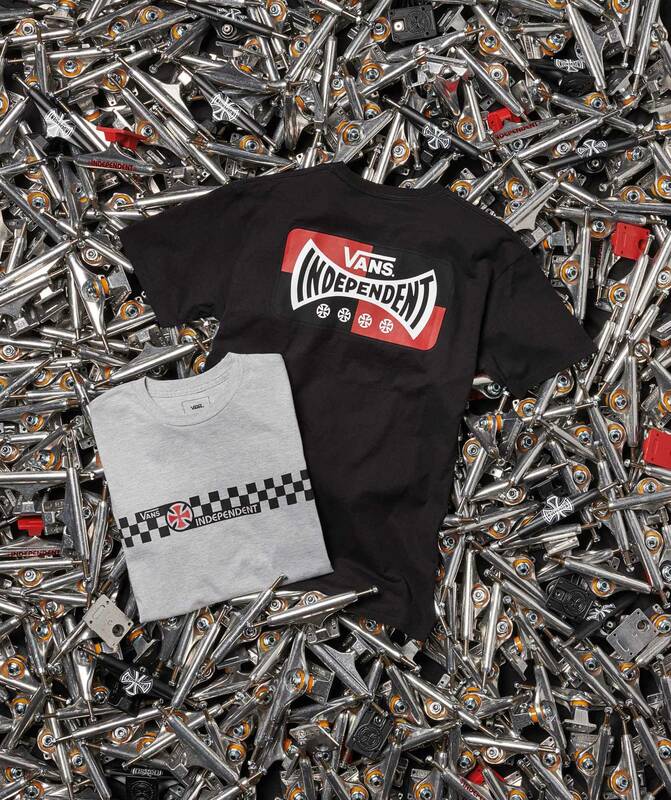 In celebration of Independent’s 40 years in the business, the latest installment of Vans and Indy’s collab series combines that sick Vans checkerboard pattern with the Indy cross logo. There are even shoes in the collection that take design cues from Indy’s bushing hues! With so much history between these two behemoths, this collection was destined to be a homerun. And it was timed perfectly to release with a customized version of the TNT Advanced Prototype, along with Sk8-Hi Pros and Slip-On Pros. Peep more of the nearly 20 pieces in the collection below. The full collection is available at Vans dealers or at Vans.com.